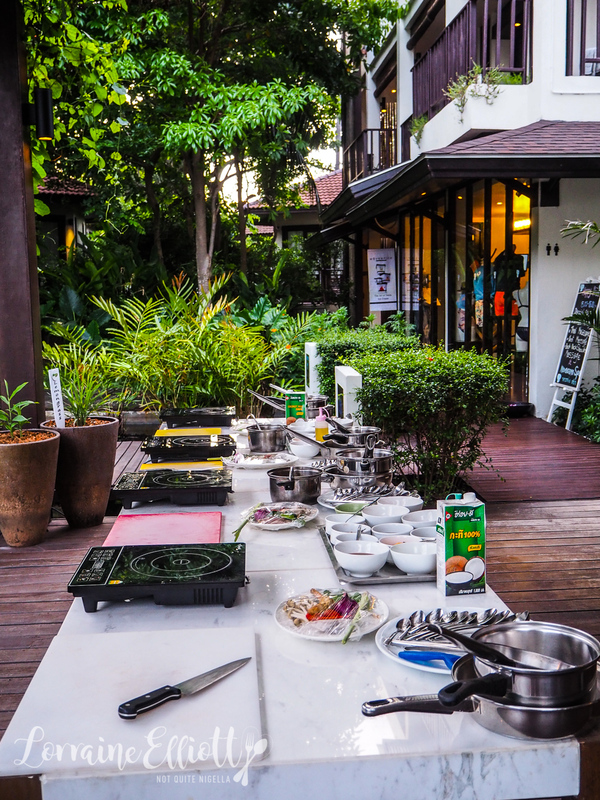 Food is such an integral part of Thai life that when Thais greet each other they don't say "Hello, how are you?". Instead it's "Gin Khao Yung" aka "Have you eaten rice?". 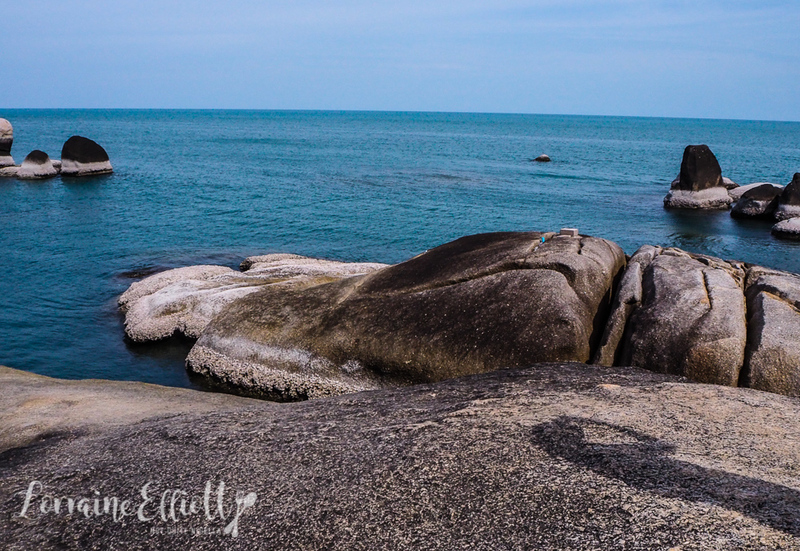 Koh Samui is in the Southern part of Thailand. 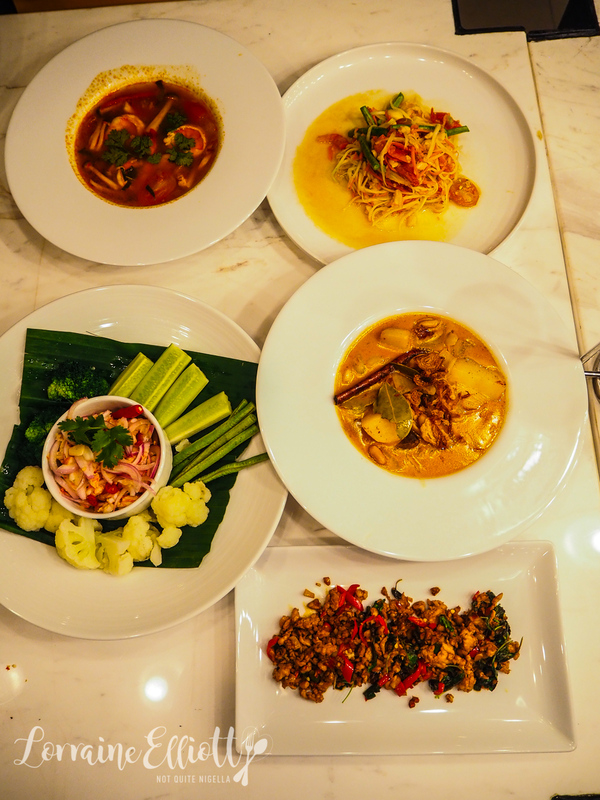 People here are spicier and that's not just the spicier food that they enjoy. 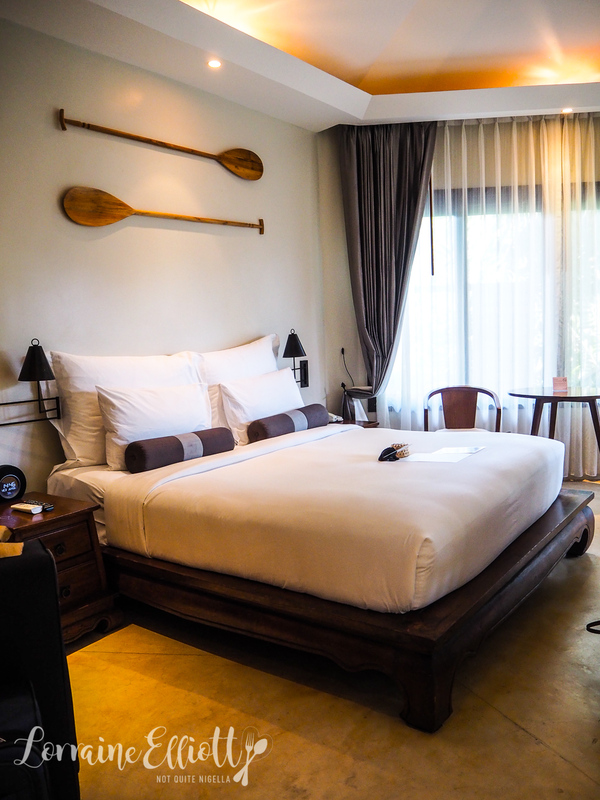 We arrive from Phuket after a short flight and head east towards the Outrigger Resort Koh Samui. 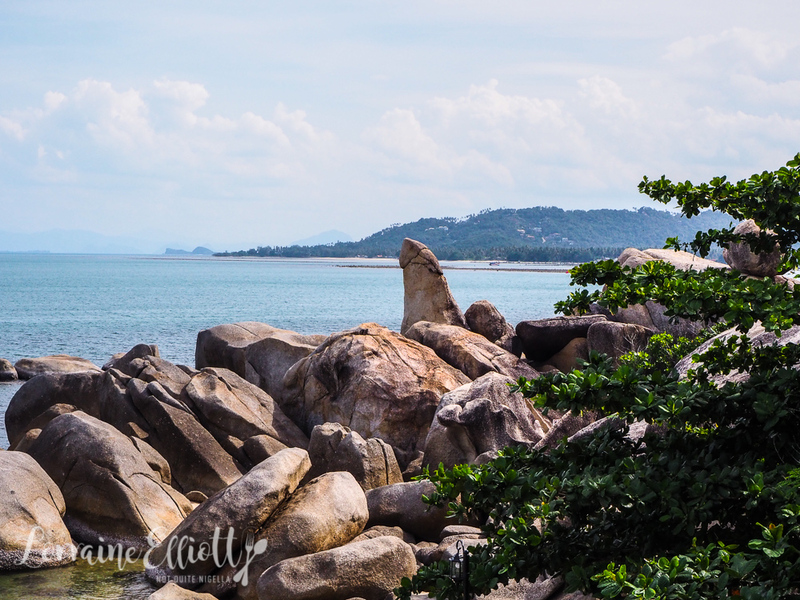 The atmosphere here on Samui is relaxed with windy roads and plenty of resorts. It reminds me of Hawaii's Kauai. The Outrigger here reflects this lower key area. The resort is located down a nondescript road and there's no grand lobby with hatted bell hops ferrying luggage across polished tiles. Instead it's low key and approachable. 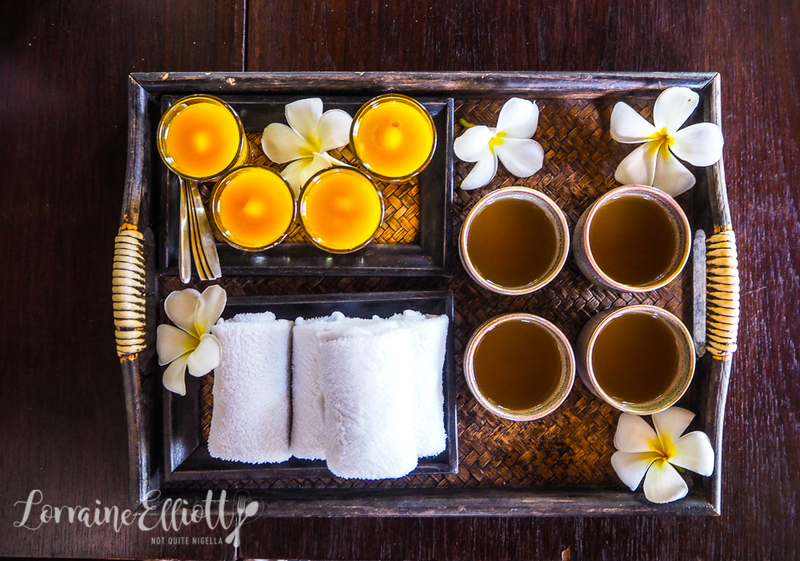 They bring us an iced tea and delicious mango custard cups as a welcome. The air is punctuated with the smell of frangipanes. 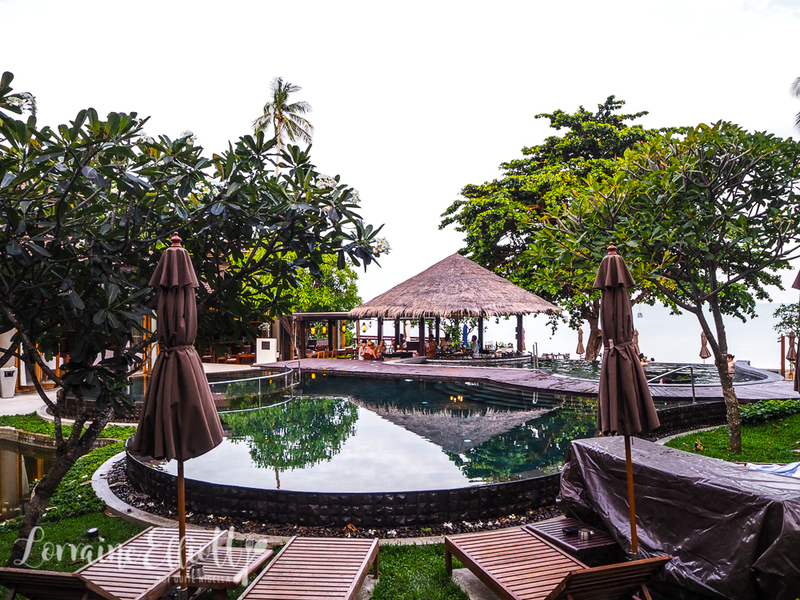 The resort itself has 52 rooms, suites and villas and all of these rooms have their own private plunge pool. It's warm and sticky here, the weather being quite different of that of Phuket, and the frangipane scented iced cold towels come at just the right time. My suite #125 is Plunge Pool Suite. 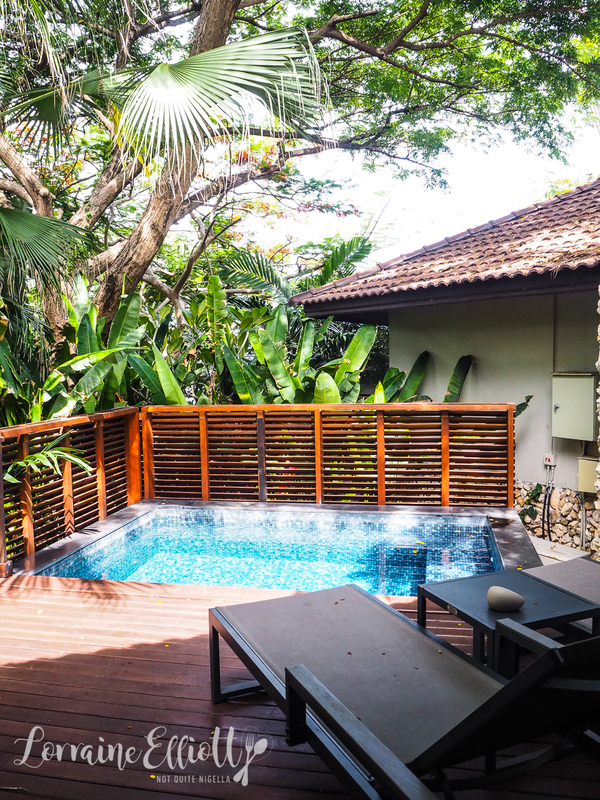 Wooden doors swing open to reveal stairs that lead up to the private plunge pool, a place where I intend to spend the rest of the afternoon. Chairs and a day bed complete the picture outside. It's not entirely private, people walking past can see in on both sides so skinny dipping is off the agenda. 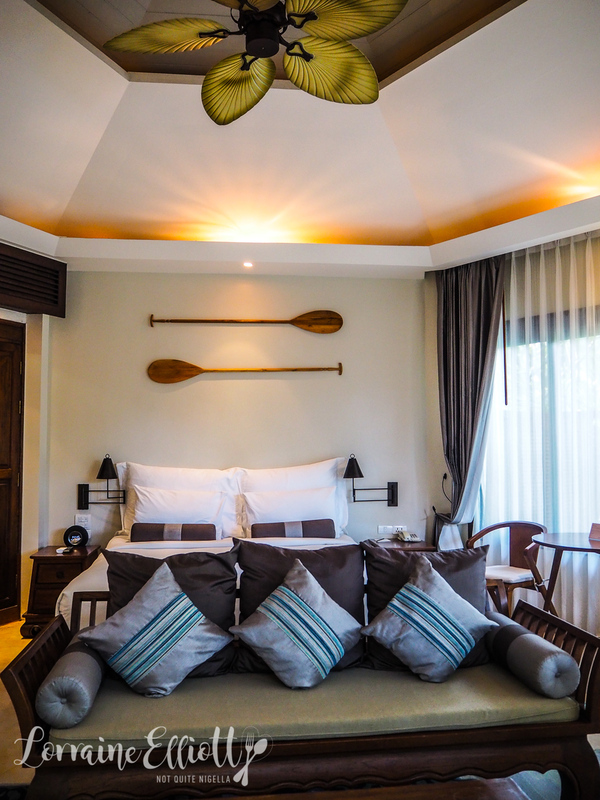 The villa is 80 square metres or 861 square feet so it's a good size for two and this Outrigger is very much a honeymooner's or couple's resort. 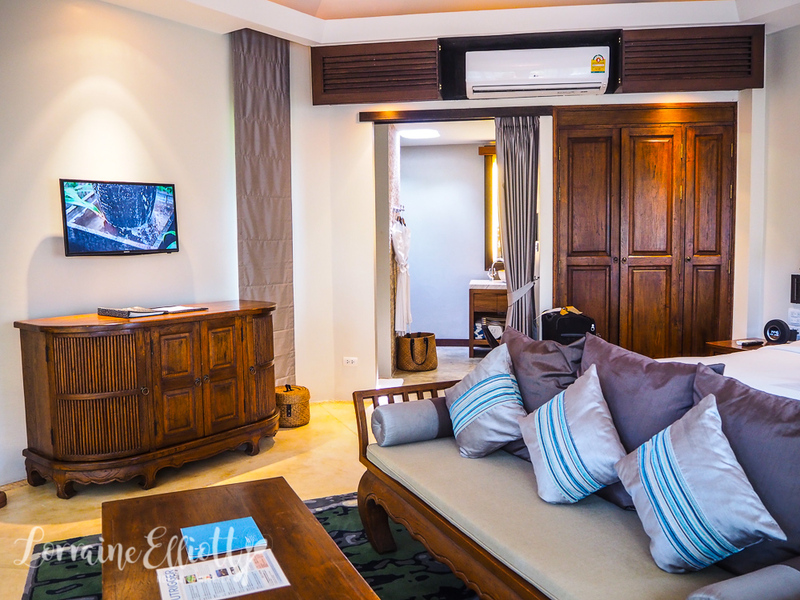 The main villa is designed in a hexagonal shape with a comfortable couch and a single chair and a very comfortable king sized bed with a good selection of pillows. 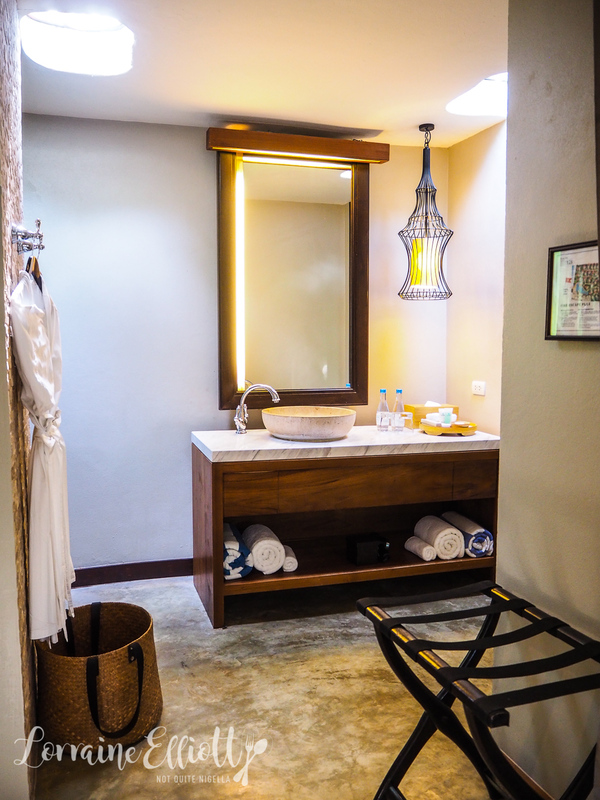 The bathroom is an open plan one with a shower and a single sink with Outrigger branded toiletries in a lemongrass, coconut, honey and citrus scent. A tiny lizard scuttles across my wall while what sounds like thousands of cicadas create a cacophony. 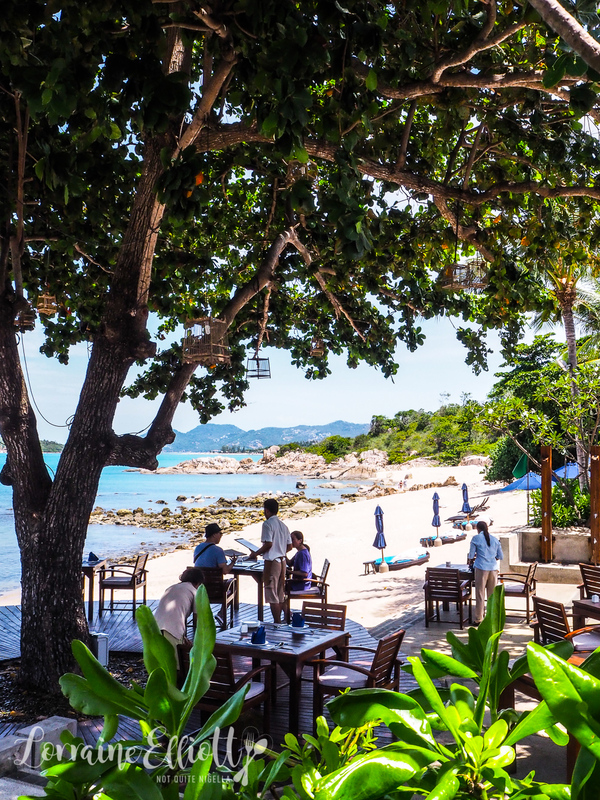 The main restaurant area has a wet bar which is busy with couples sunning themselves, turning shades of brown and pink in the hot midday sun. There is a beach but it is bordered by rocks-the staff give guests rubber shoes past navigate the knobbly shore. Lunch at Edgewater restaurant or in room dining is full of delicious surprises. 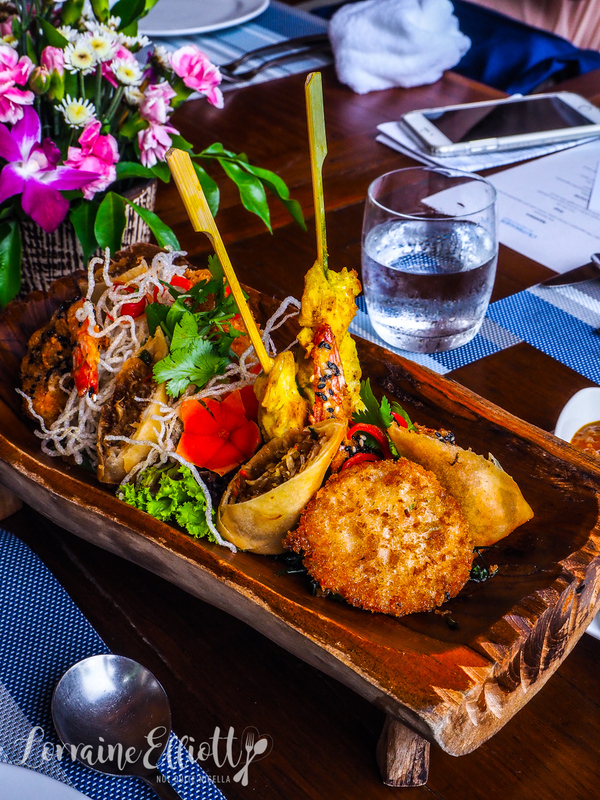 There's a mixed appetiser served in a carved wooden boat with crunchy sesame prawns, prawn cake, vegetable spring roll and chicken satay. I try it with a darkly mysterious Butterfly Sabai cocktail made using Butterfly pea flower syrup, Burnett's gin, Thai basil, pineapple juice and soda which has a strong hit of aniseed from the Thai basil. 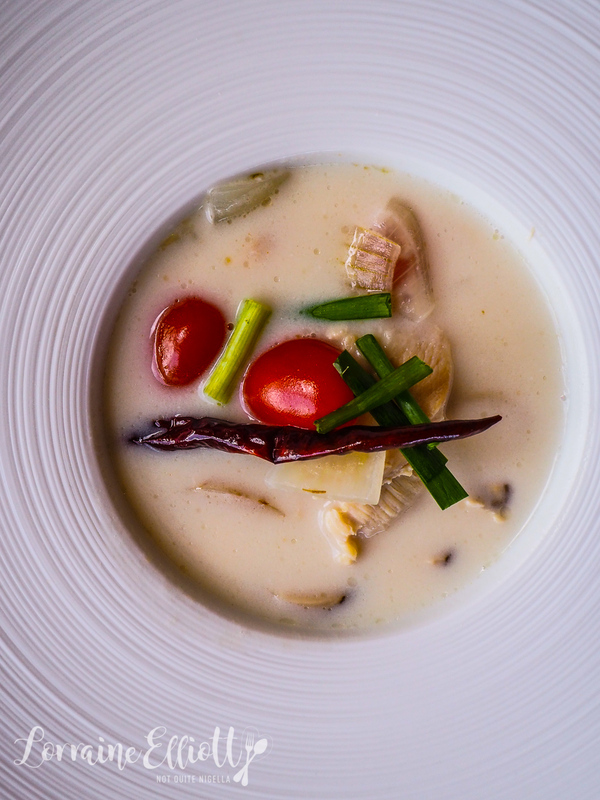 The Tom Khar Gai or chicken coconut soup is also fantastic. I also tried the chicken, apple, dragonfruit and pineapple salad with ginger dressing in my villa which I adored. 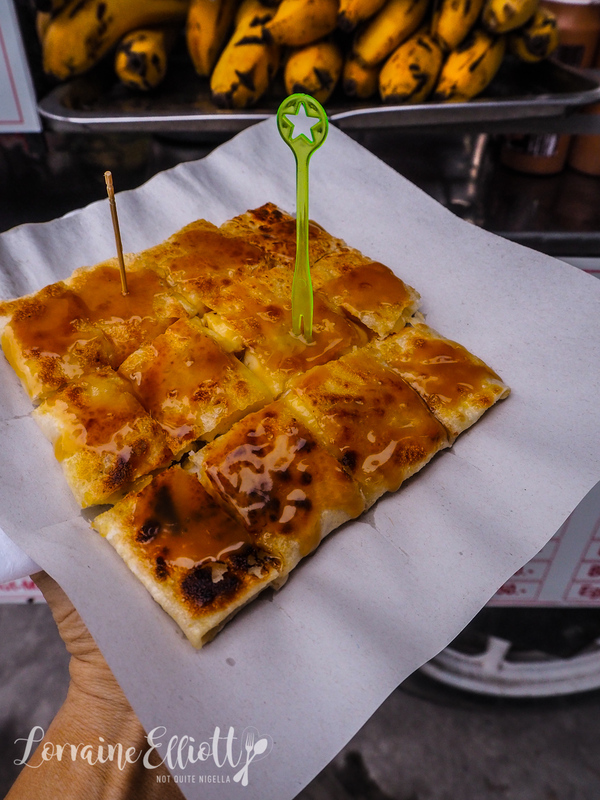 The deep fried Thai crab omelette is also very good. 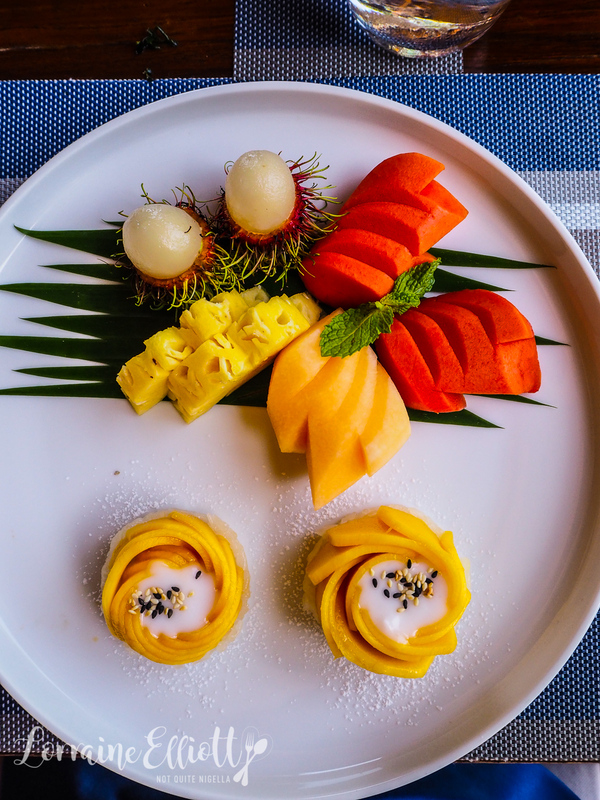 And to finish is a plate of tropical fruit with sweet pineapple, papaya and rockmelon with the prettiest presentation of mango sticky rice with coconut. At night Edgewater turns into a buffet with an a la carte selection and there is also wood fired pizza available. 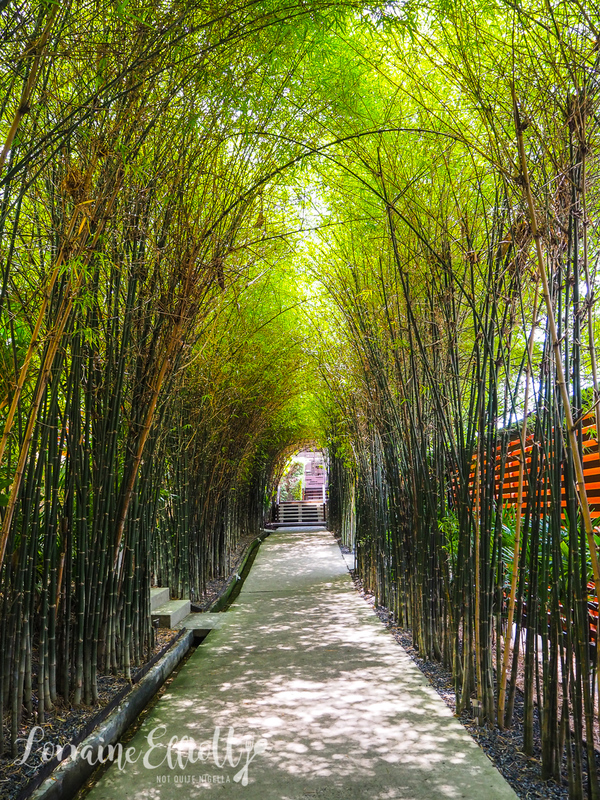 On Koh Samui, there are said to be 3 million coconut trees on the jungle island. And they're not above using some simian friends to help retrieve the higher up coconuts. 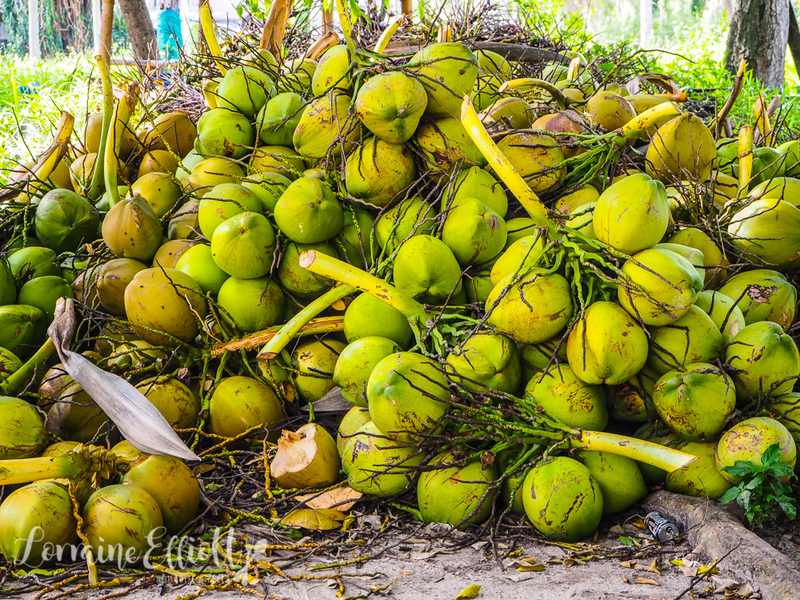 The coconuts grown here are used for their milk rather than being drinking coconuts. We watch one monkey called Fried Egg expertly scale a palm tree and reach the top cluster of coconuts. He stops, pauses and then twists and drops the ripe coconuts down to the ground. After dispensing with four of them (he will help retrieve 300 coconuts a day), he will come back down and help twist off the tops of the coconuts. It takes each monkey around 6 months of training to do this. 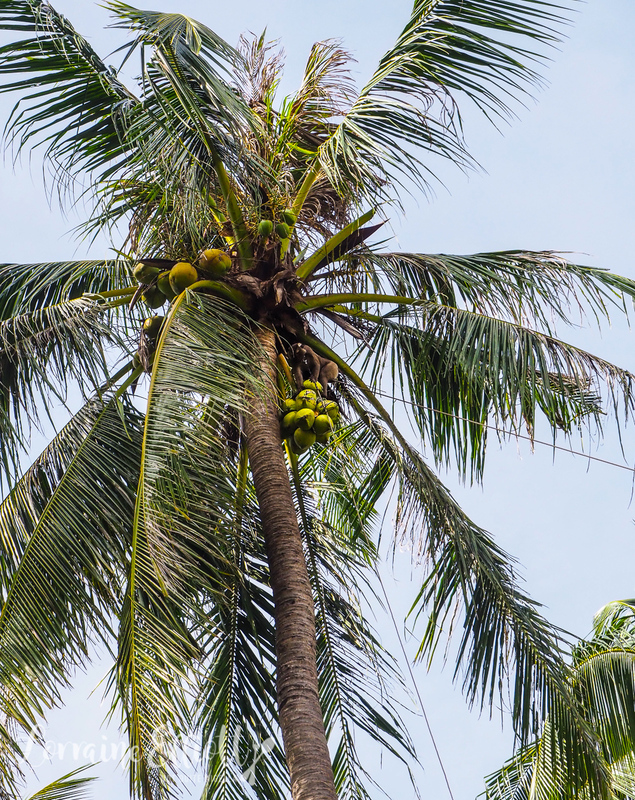 Each coconut tree bears around 70 coconuts a year and there are currently 200 working monkeys in Samui. 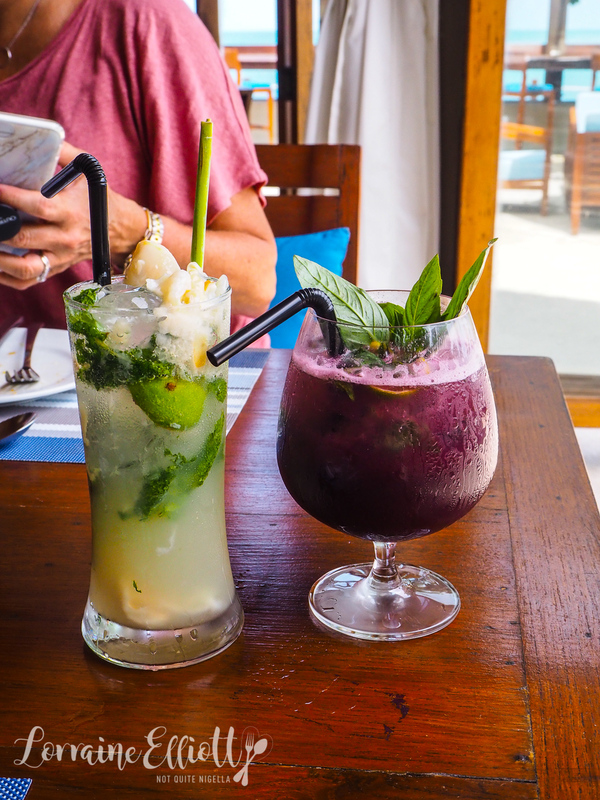 The island has many foodie delights. 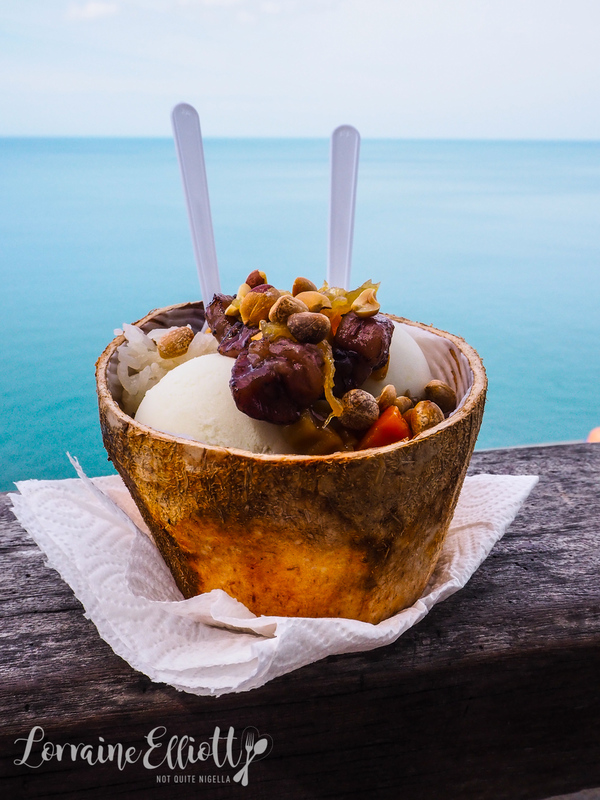 At Chaweng's Kat Ko view point sits a coconut ice cream vendor who has been making wonderful coconut ice cream for years using Samui's coconuts. 17 years ago a woman started Lamai Fresh Coconut, said to have the best coconut ice cream in Samui. 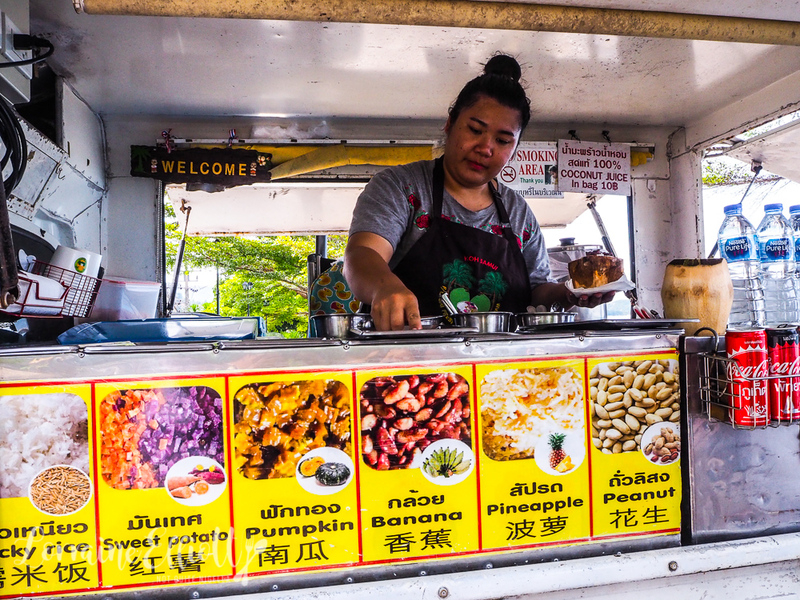 You can pick your choice of toppings: there's coconut flesh, roasted peanuts, pumpkin, pineapple, banana and sticky rice. It would be remiss to not try them all and they're all delicious paired with the silky smooth coconut ice cream. She scoops the ice cream into cups while sitting on an office chair in the small van. 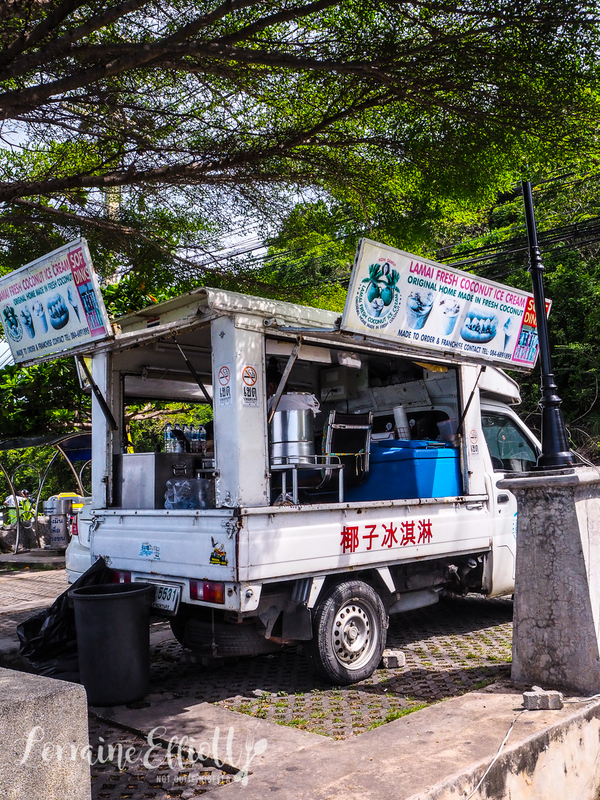 And don’t forget to beep the horn twice when you go past the graveyard of spirit houses just a few metres away from the Lamai Fresh Coconut ice cream truck. 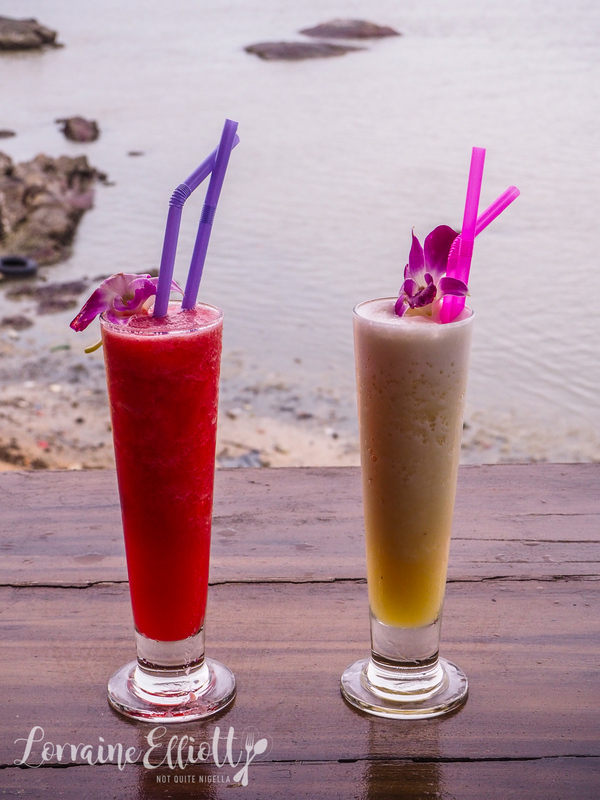 The next stop on our Outrigger tour combines something rather saucy in nature with something deliciously unique to Samui. Grandpa and grandma rock are...how do I put this? They're phallic and yonic shaped rocks. The phallic one is obvious although the yonic or vaginal one less so (and trust me you'll see vaginas in rocks everywhere once you start looking for it). It is here that we stop at one of the many vendors. 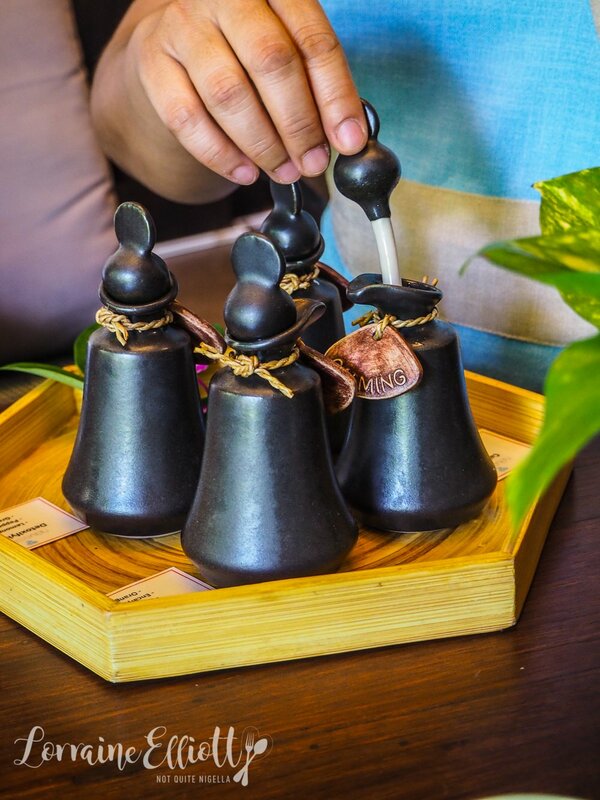 Khun Nat, the Outrigger's General Manager tells us that the vendors at this store have been selling these coconut and sticky rice treats dipped in toasted sesame seeds for 30 years. 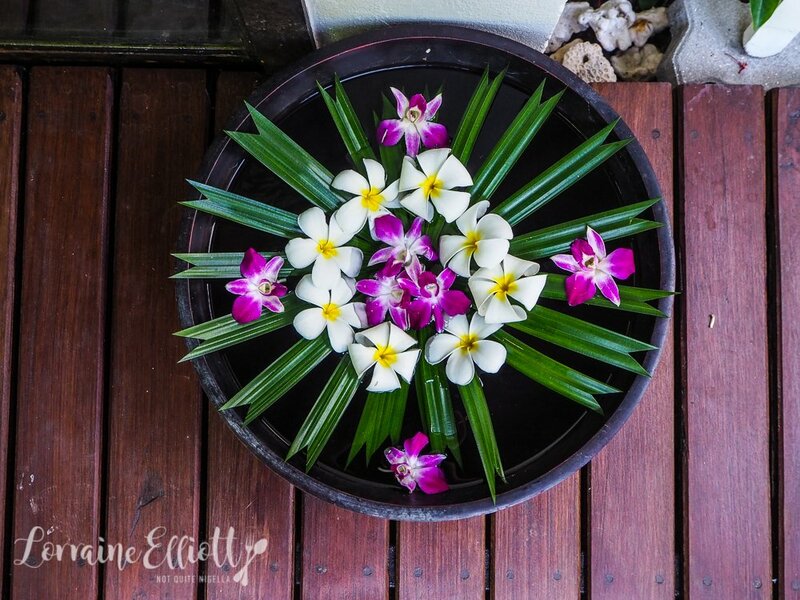 Many years ago the late King Rama IX encouraged provinces to have their own specialty to attract visitors and this sweet is uniquely Samui. They're pyramid shaped jellied confections called "kalamare" that are sweet and moreish with the texture of mochi. 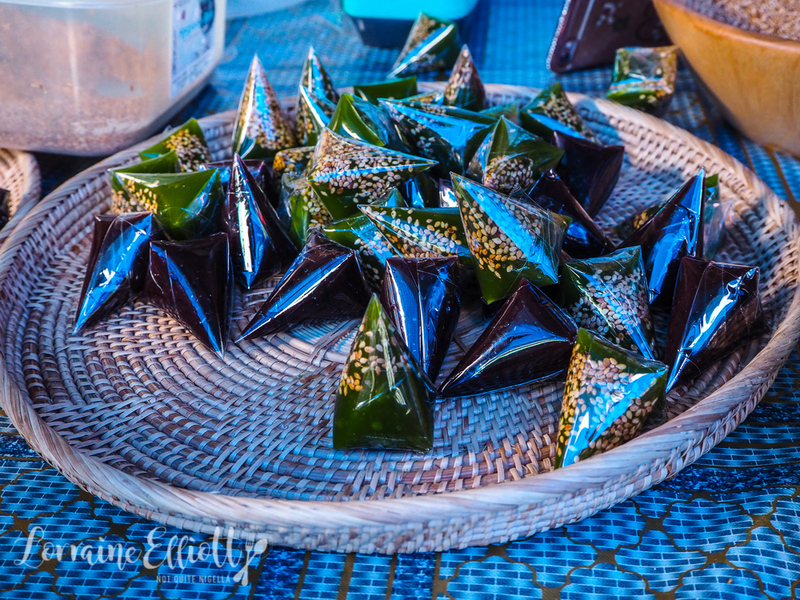 There are three kinds: original using coconut sugar, black using black sticky rice and green pandan. They're all made by hand and dipped in sesame and are very addictive. 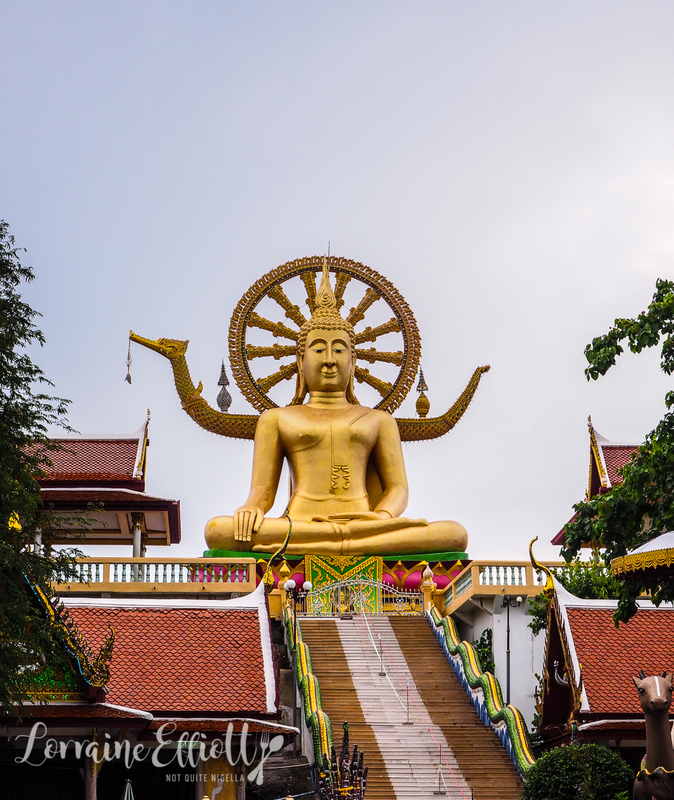 Our next stop is the Big Buddha, a resplendent 12 metre high golden buddha called Wat Phra Yai in the North Eastern corner of Samui. If you are looking out of the plane window when you approach Samui airport (a very cute airport by the way) you may see the Big Buddha. We stop by here but it is closed off to the public today. 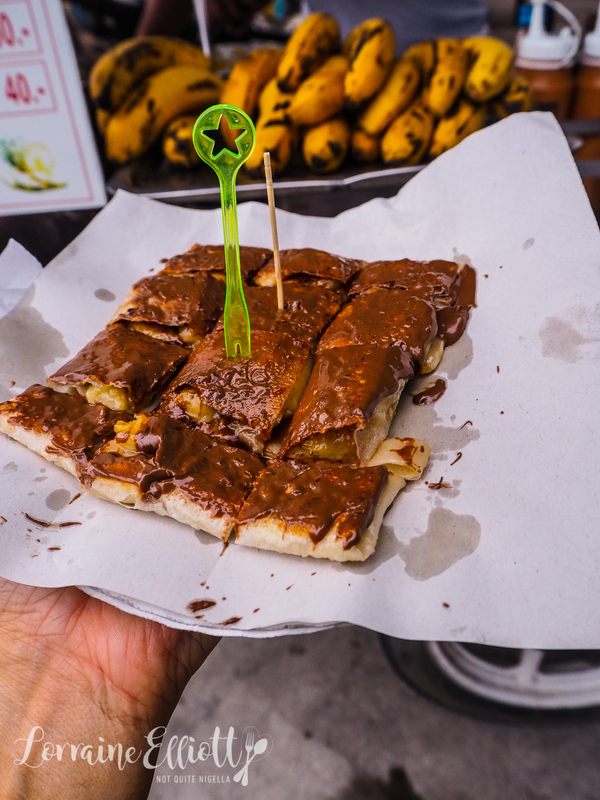 We console ourselves with some roti from a vendor that is freshly made with banana and Nutella as well as a banana, coconut and caramel sauce roti. A chicken vendor speeds past, rubber chickens flying on the side of his cart honking his horn with a flourish before screeching to a halt. We head back towards the Outrigger hotel. We are back at the resort's Edgewater restaurant which is also where the Blue Fire cooking class is held. 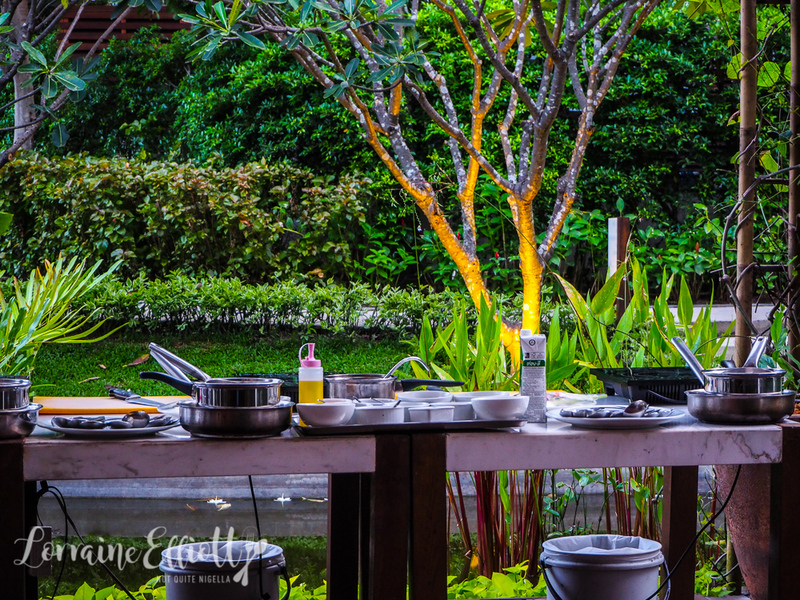 Chef Pai is the softly spoken chef in charge of the hands on cooking class. We are cooking 5 dishes from scratch with ingredients already prepared and chopped although we do have to do some slicing, dicing and cooking. There is a bit lost in translation as he can be a bit difficult to understand but we get the hang of it after a while and it's amazing how quickly these dishes come together and how good they are. There is such a bounty of food that we couldn't possibly finish it all. 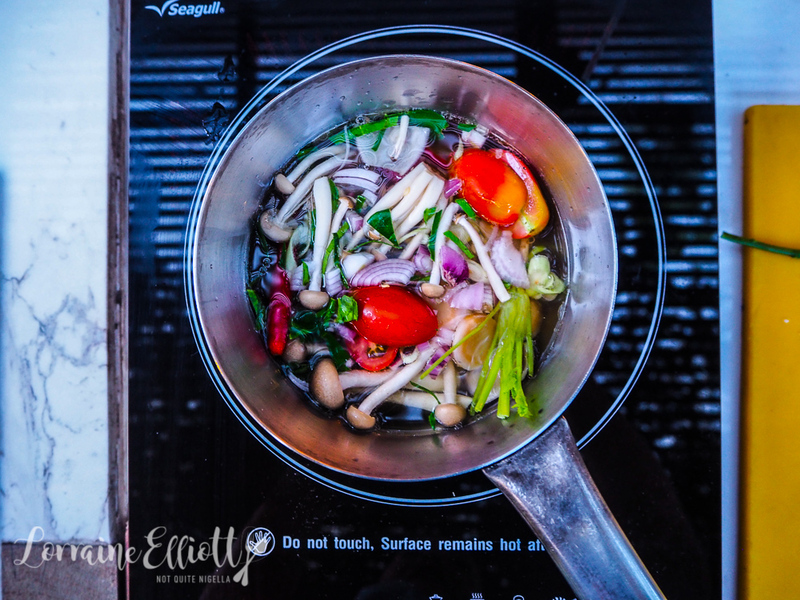 We end up making Tom Yum Goong, Phad Ka-prao Gai or stir fried chicken with holy basil sauce, massaman curry beef and a dip and they're all served to us while we sit under the enormous African almond tree under the glowing lanterns that sway gently with the cooling ocean breeze. 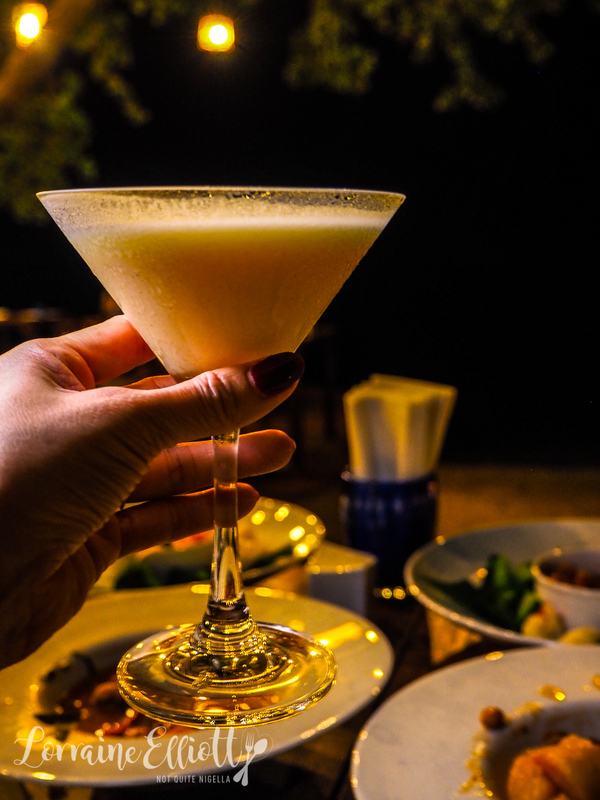 I also try the satay martini (the cocktail menu is creative) that uses a peanut butter syrup which is not overly peanut buttery which I was hoping for. 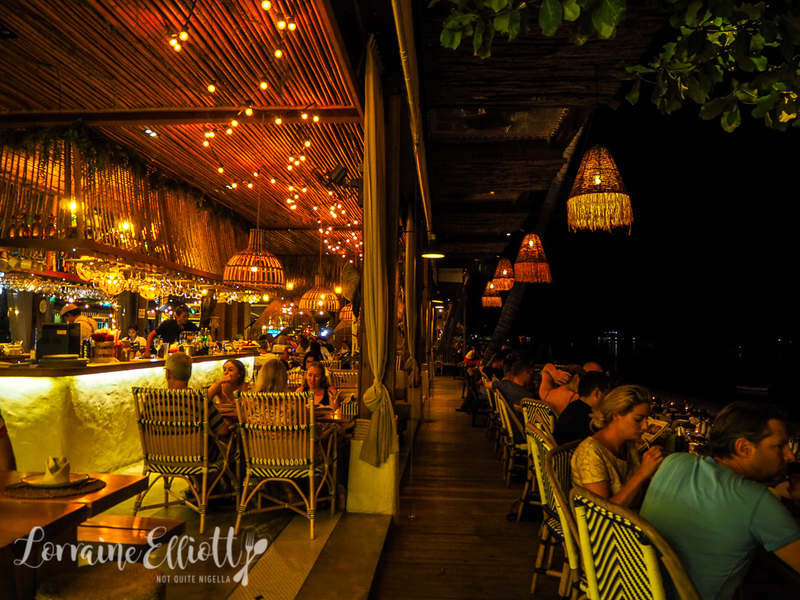 If you're in the mood for a cocktail at Sunset, Angelina's Sunset bar is the place to situate yourself. There are light snacks, cocktails and fruit smoothies available. Park yourself on the converted wooden boat to watch the sun go down. 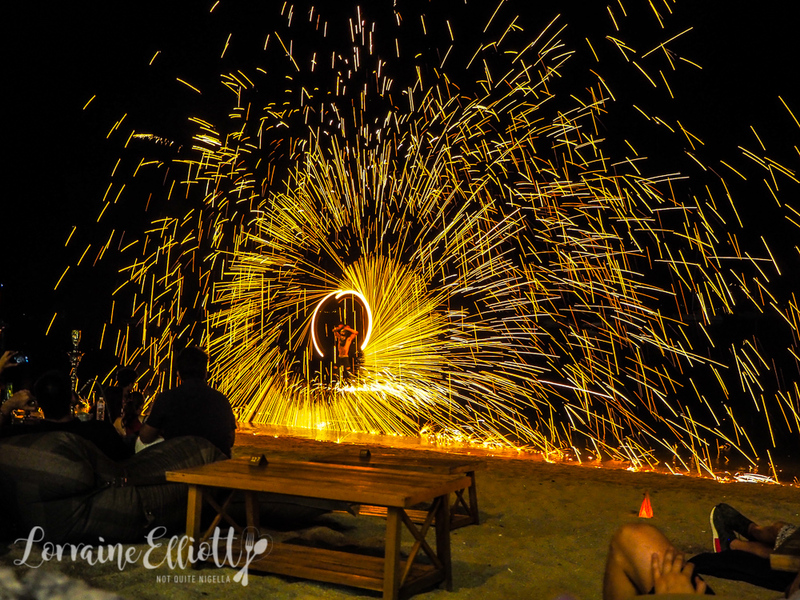 The night is young so we make our way into Samui town for a cocktail on the beach at Coco Tam's which is a very popular beachside bar where fire twirlers put on an amazing display-these flames leap large and you can feel the heat coming off them when the flames roar high. The next morning I make my way down to the main guest area for a visit to the cool air conditioned comfort of the spa. Tropical fragrances mix in the air and I am immediately calmed. 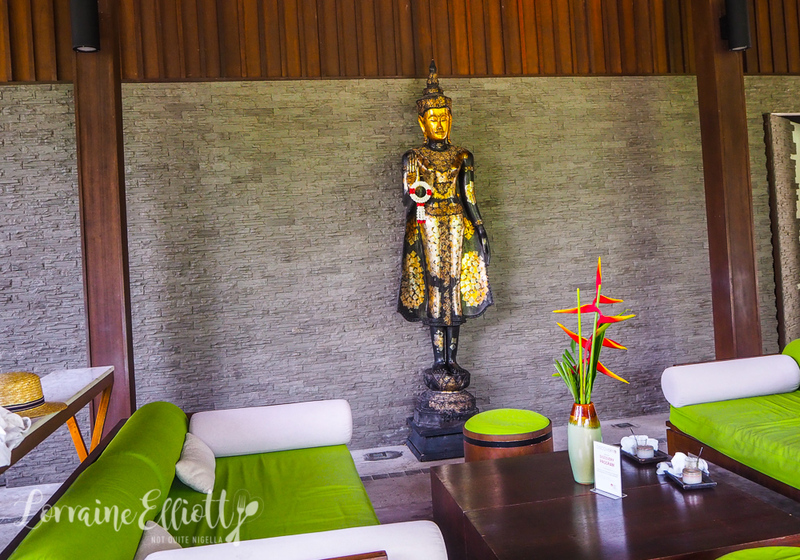 I follow my therapist Khun Fern to one of the treatment rooms for one of the best massages of my life. For a tiny woman she is very strong. I have chosen the Indian head massage. This involves dripping hot oil on my scalp, firm face and scalp massage and gentle hair pulling. I'm rendered into an utterly blissful state that even picking up the cup of iced bael tea at the end is done at the speed of dripping molasses. 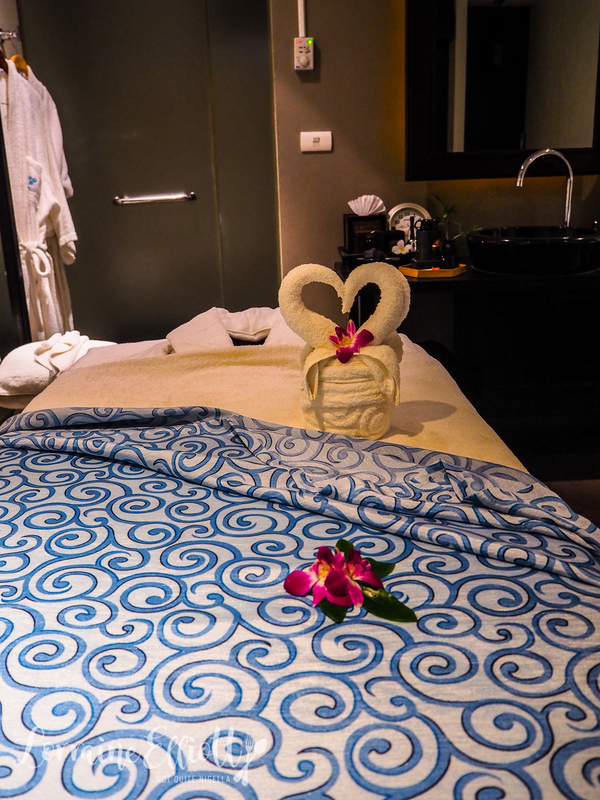 Activities at the hotel are of the therapeutic, relaxing kind. 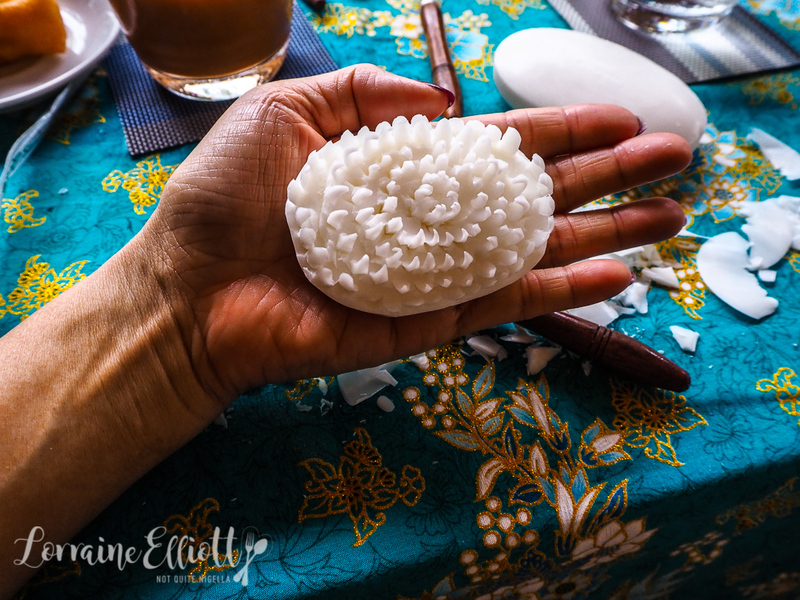 People can weave decorations or they can try their hand at soap carving. 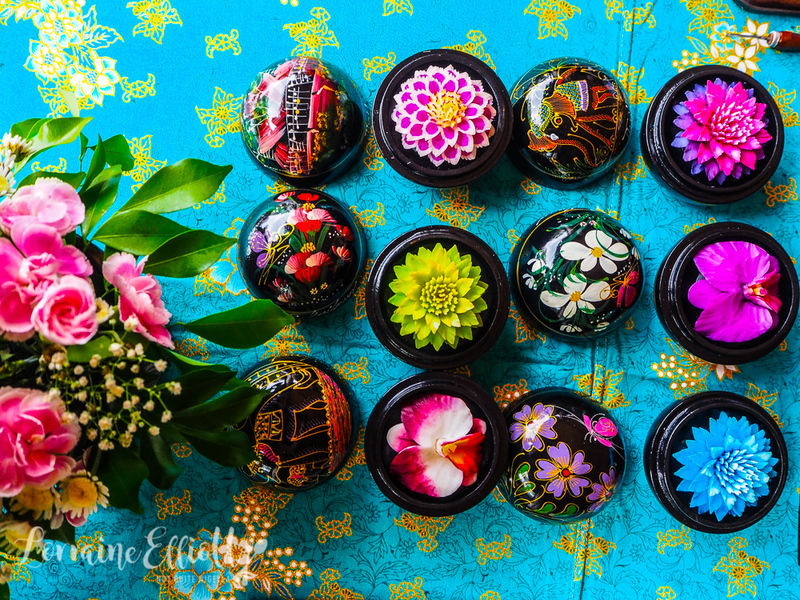 Khun Choawlit has been carving soaps for 20 years. His sister taught him and he taught his wife and they also do leather work too. Each soap takes him 1.5 hours to do including colouring. He is patient and some of us are better than others (I am not one of the better ones). 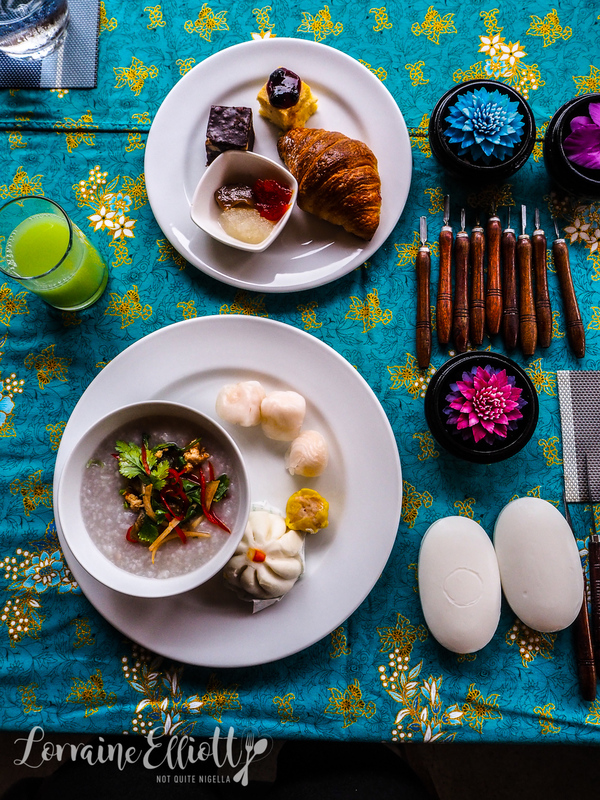 I'm far too distracted by the noodle soup for breakfast and breakfast cakes with croissant with coconut and papaya jam. We use a scraper tool like a knife to smooth out the soap and then digging tools to create the petals. He is patient but his advice to those of us that perhaps aren't getting the hang of it is to "Enjoy yourself". I think that means don't give up your day job ;) We wrap our soaps up in Saa paper from the Mulberry tree topped with a rubber tree leaf. With the breeze blowing and a blissful state induced by massages, delicious food, soap carving, plunge pool swims and cocktails we are reluctant to leave the island. There's one final gift for all guests: a wooden frog. when you run the stick against the back of the frog it lets out a frog noise. It's something to remember the jungle island fondly by. 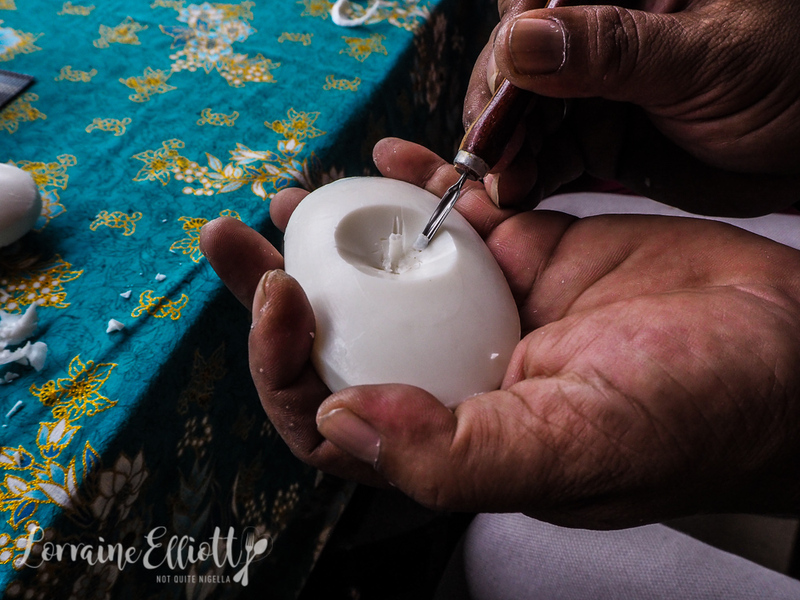 So tell me Dear Reader, are you good at crafts like soap carving? 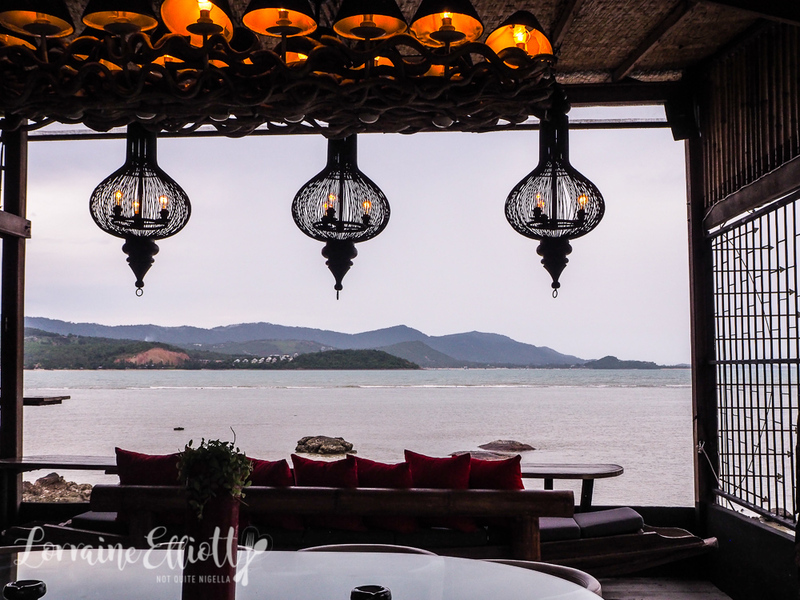 Have you ever visited Koh Samui? NQN was a guest of Outrigger resorts but all opinion remain her own. The tours from the Outrigger are 1500 baht per person and usually include lunch.